One of my favourite memories from my childhood was looking forward to getting my small hands decorated with henna the night before Eid. My eldest sister, who has quite the creative gene, used to decorate my palms with flowers and other patterns. And I, absolutely eager to use my hands again to show off the patterns, would wash it off within a short space of time to discover bright orange patterns. I’d also occasionally sniff my hands as I loved the smell. Thankfully I outgrew that phase and developed some patience (and have a slightly lower tolerance for the smell). By the time I got married I had enough willpower to wait a good few hours with idle hands to end up with a deep and dark red colour on my wedding day. 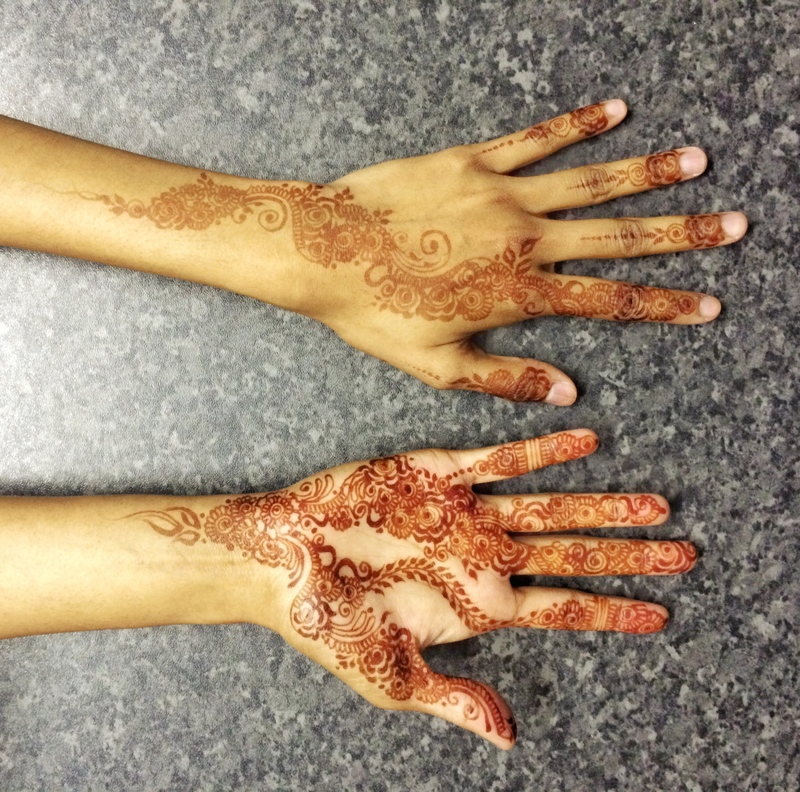 For me, a successful henna pattern is based on two things: the beauty of the pattern and the colour. The darker the shade, the better the look. So it was with much delight when I learnt that Husnaa Kajee was coming to Cape Town. Henna Art by Husnaa Kajee: some of the most unique and amazing patterns I have ever seen. I simply HAD to try my best to get my hands done… And so I did. Husnaa, a sweet and friendly lady, was an absolute pro. Within 30 minutes the back of my left hand and the palm of my right were done. She didn’t stop for a moment to think about the design… it all unfolded so naturally and I was mesmerised. In total I had it on for 1.5 hours and smeared Vicks over once I scraped it off. Within the next 24 hours the orange colour changed to bright red and then settled to a deep red. Exactly how I wanted it. 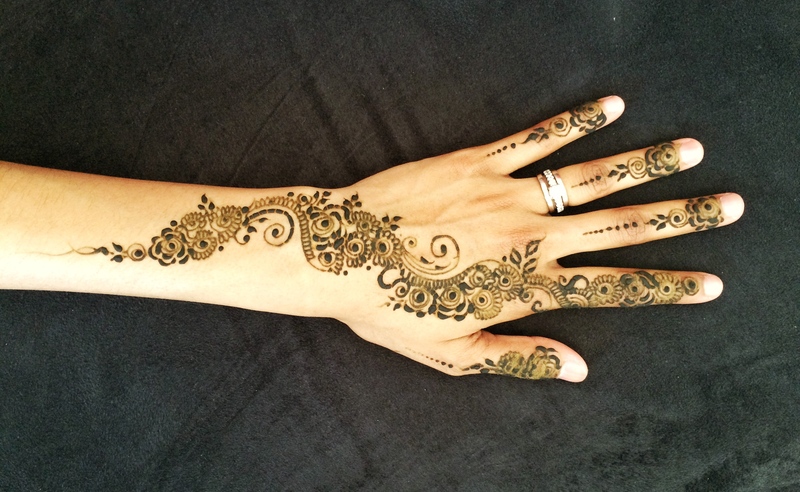 Henna patterns are truly feminine and elegant. Wow – that is so, so beautiful! Ah, is there no follow button on your blog? I’m also a 20-something Cape Townian, although I live elsewhere now. I’d like to follow your blog via WordPress. Hi Tasneem. Yes! When you log onto WP and visit my site, there should be a Follow option on the black bar right at the top. If you want you can sign up using an email address in the subscribe section on the right. Wow! That’s stunning work by Husnaa! Beautiful pattern..I like henna too. 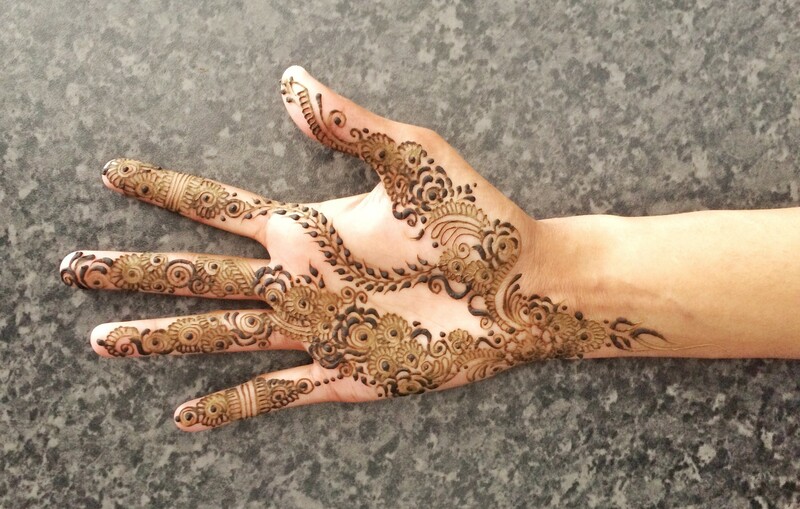 I experienced having henna drawn on my hands at my friend’s engagement party last year. It was fun!